10th April 2019 …. 3xLOGIC, the leading provider of integrated and intelligent security solutions, has announced the availability of its pioneering VIGIL video management system (VMS) in Europe. Already enormously popular in the USA, 3xLOGIC aims to replicate this success and is targeting VIGIL at those who want all the power of integrated video and access control, without the stress and cost of a complex set-up. 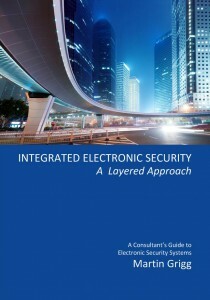 End users are increasingly demanding integrated VMS and access control. VIGIL can be seamlessly integrated with 3xLOGIC’s cutting edge infinias access control solution, which is designed to easily manage any size of project ranging from a single door to an enterprise-wide installation of hundreds of doors. With no wires from VIGIL to infinias, configuration is carried out through software with an automated, cloud-based programing tool. This offers a cost effective way to create one intuitive solution where video is automatically linked with access control events and alarms. The businesses will continue to operate under their own brand identities as usual and will report to a global management team as STANLEY Products & Solutions (SPS) under the leadership of CEO Matthew Kushner, ensuring a consistent product and innovation strategy. With its launch in Europe, customers will now be able to enjoy the numerous benefits of 3xLOGIC’s access control, video surveillance and video management system (VMS) technology, All 3xLOGIC products are designed to be fully integrated, to provide customers with comprehensive, cost effective and state-of-the-art security infrastructures that are easy to manage, simple to install and can be scaled to meet evolving needs. Just as importantly, these advanced integration capabilities offer security installers and system integrators significant opportunities to work with their customers on more innovative and multi-dimensional security systems. 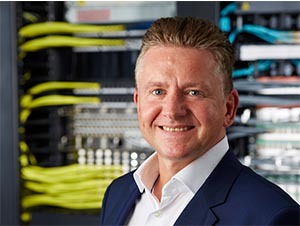 3xLOGIC products will be available in Europe through the existing PAC channel, with full access to its customer service and technical support teams. This means that users will be able to rely on a tried and trusted supply chain, delivering products that are specified correctly and delivered on time, every time. As part of ambitious plans to expand quickly across Europe, 3xLOGIC is also in the process of recruiting significant Business Development positions for the UK and mainland Europe to drive further growth and market penetration, with details of these appointments announced imminently. This activity will also be augmented with a dedicated partner programme, which will offer installers and integrators a wide array of benefits. Those wishing to find out more about what 3xLOGIC has to offer are invited to visit us at the Security TWENTY 19 Birmingham Conference and Exhibition, which takes place at the Hilton Birmingham Metropole Hotel on 21st February. Company experts will be present to answer any questions and provide hands-on demonstrations of some of the 3xLOGIC products that are now available and in the future. For more information on 3xLOGIC’s’s infinias access control solution, please visit: https://pacgdx.com/products/3xlogic. 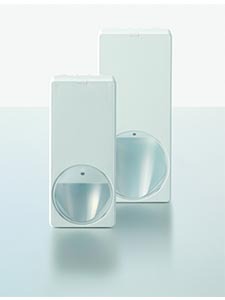 Security Products from Siemens has introduced its field-proven Magic motion detector series to the UK market. The Magic PIR and Dual motion detectors are an exciting new advance in security that provide the most reliable, convenient and cost effective solution for industry leading catch performance and false alarm immunity.